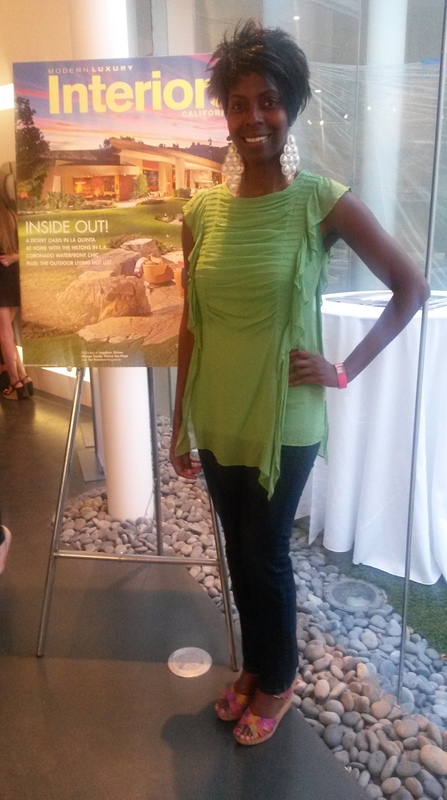 I attended the Leicht grand opening party in West Hollywood on 5-15-14 and opted for a colorful artsy look. I love this green ruffle top I wore, as it was a random find at a consignment shop in Manhattan Beach. 100% silk, I feel like I could shake my way into anything! I paired it with pearl chandelier earrings, rainbow wedge sandals from DSW, and dark denim jeans.